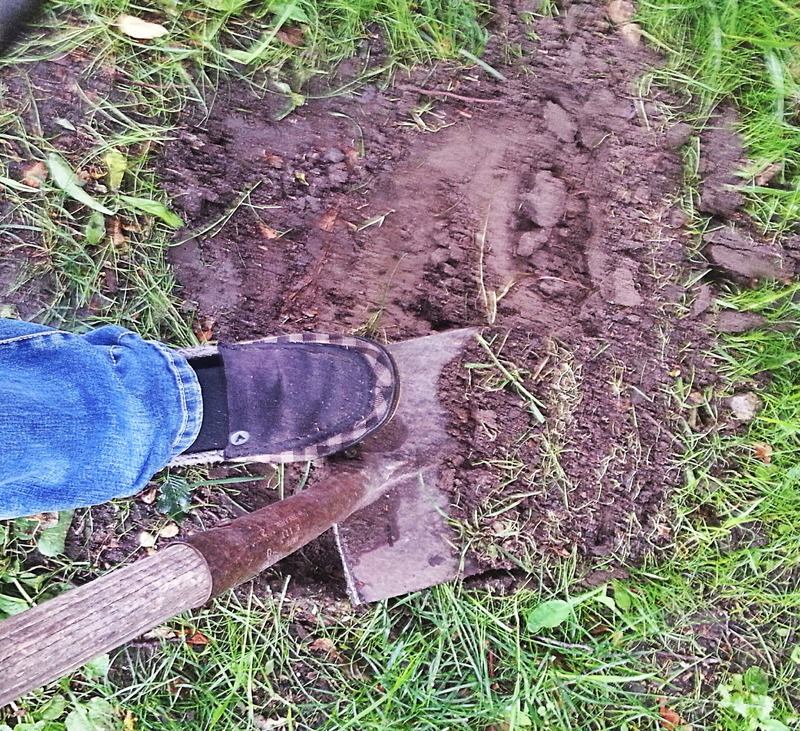 Laying stepping stones is usually a pretty straight forward, albeit labor intensive task. Placing them in established turfgrass requires a little bit more careful planning and a few additional steps. I had begun noticing a definite trail forming between my patio and my compost pile at the back of the yard. I decided to place functional stepping stones along the path in order to preserve my lawn. 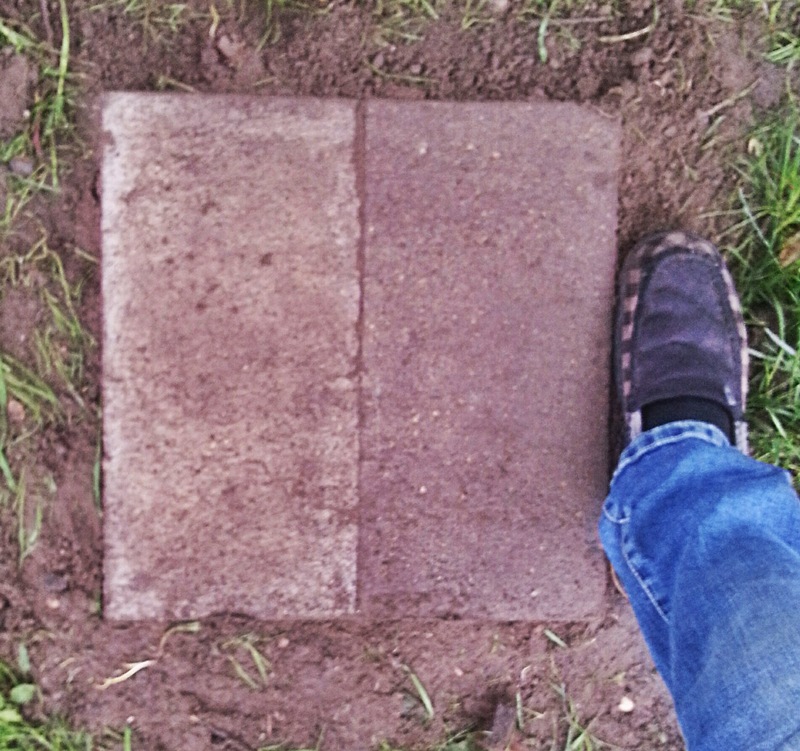 I have had the stepping stones laid out on my lawn where I was intending on placing them for about one month now. I was definitely procrastinating in regards to this project. But, I sprang into action when I offered to host an anniversary barbecue for my grandparents! Without further hesitation, let's lay some stepping stones. First off, measure the thickness of the paver stone so would know how far down into the turf you need to remove. My stepping stones were 2 inches thick. 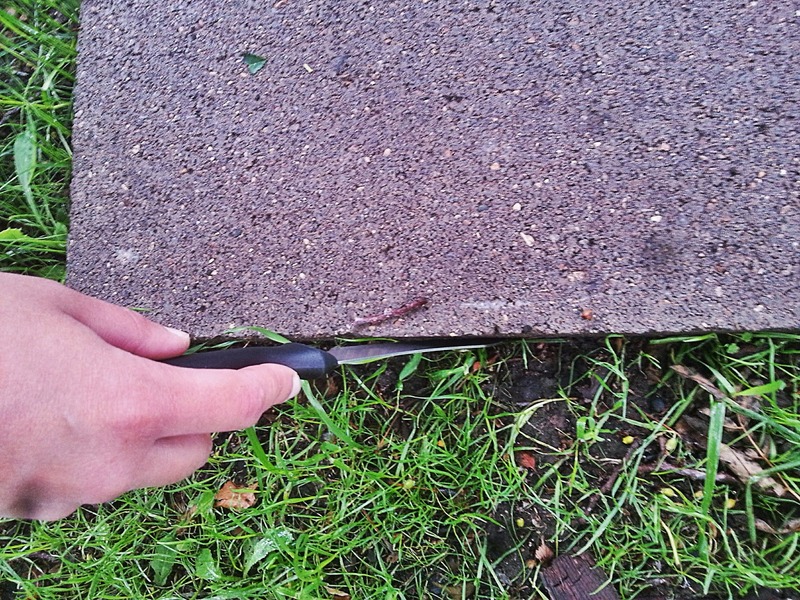 With a permanent marker, mark on your knife and shovel, the depth of your paving stone. Place your stepping stone in the location where you plan to place it permanently. With your knife, slice down into the turf grass, to the depth that you marked on your knife. Slice all around the paver, about 1/4 inch or so from the paver, to give yourself some extra room. Remove the paver and set it aside. Insert your shovel into the cut you produced with your knife. Go down to the same depth that you did with your knife. Now you can remove slices of turf, start at the edges and work your way to the center. 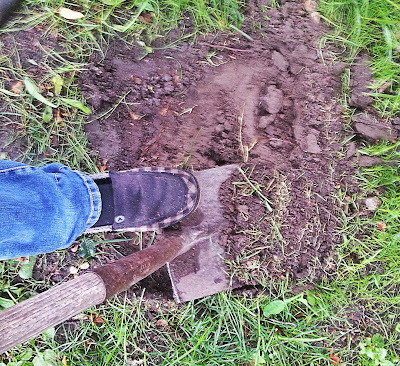 Use your shovel to slice parallel to the earth. Try your best to only remove soil to the depth of your paver. Once you have removed all of the turf and soil, you can place a layer of gravel at the bottom of your hole, or you can skip this step. The gravel just helps with leveling. Use your hand trowel to level out any bumpy spots. Carefully place your stepping stone into its new home. Check to make sure that it is level and not wobbly. If any of these issues occur, just use your shovel to lift out the paver and place soil or gravel in any low or uneven spots. Once you are satisfied with the placement of paver, you will need to back fill any spaces around the paver with topsoil. 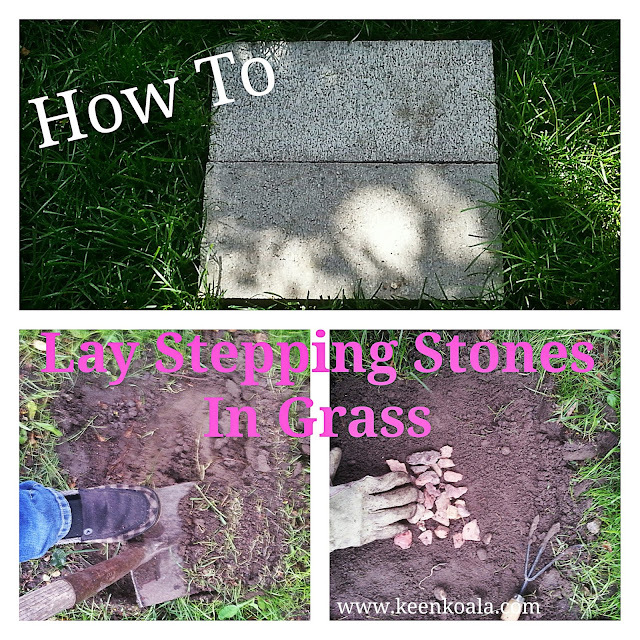 Really press the soil in around the stepping stone and then tamp the soil around the paver with your feet, until everything looks level. Take your grass seed and sprinkle a generous layer onto the soil around the new paver, covering any bare spots. Cover the new seeds with a thin layer of topsoil. Water the seeds gently after planting and continue to water them daily until the grass grows fills in. Well, I hope this inspires you to get out and put a pretty trail of stepping stones in your lawn. Have you ever laid pavers in your grass? How did it go for you? Let me know, I would love to hear from you.